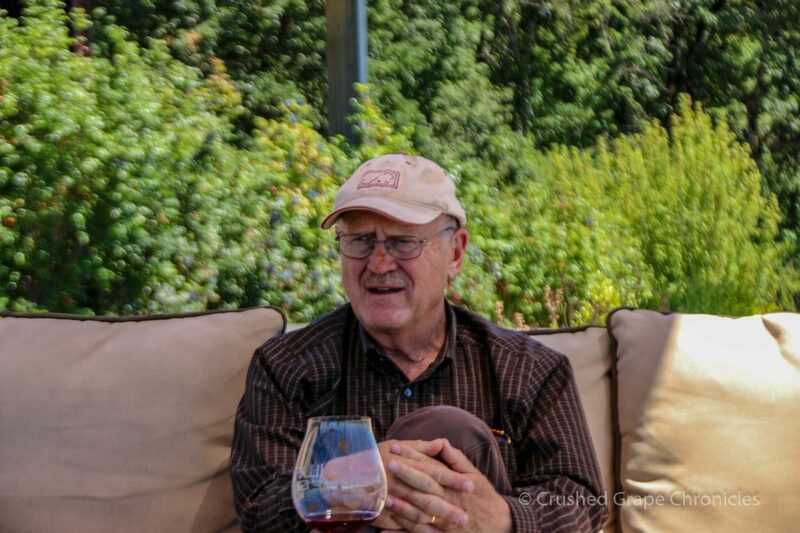 We continue our visit with Lowell Ford of Illahe Vineyard in the proposed Mt. 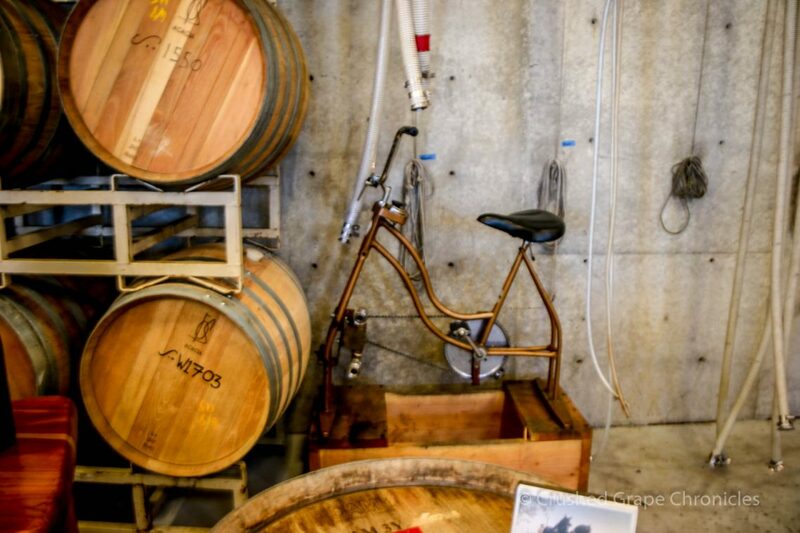 Pisgah/Polk County AVA in the Willamette Valley, by leaving the upper level of their gravity flow winery and heading into their new wine cave completed in 2015. 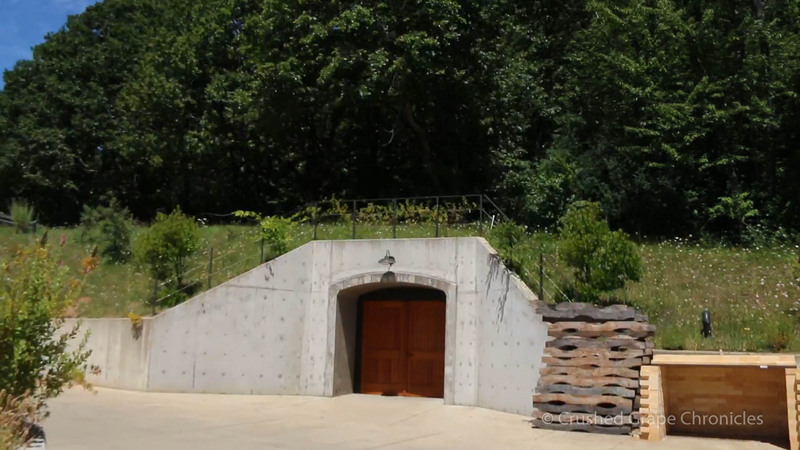 Both the winery with it’s barrel shaped ceiling and the wine cave, set into the hill behind the winery, were designed by Laurence Ferar and Associates from Portland. The Cave is cool and the walls are lined with barrels and our voices echo as we enter it’s dark interior. 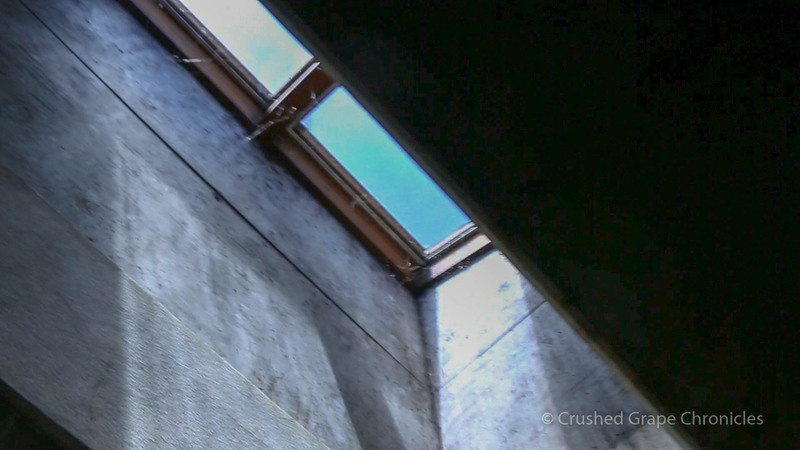 Once inside the cave, even before Kathy turns on the lights, you find there is still light, due to an skylight at the end of the cave inset into the ceiling. There is a sense of reverence in here. While the cave can hold around 200 barrels, at this time of year there are fewer, so we have ample room to quietly walk in and take in the space. Lowell tells us how the cave was installed in three sections that were precast, with rebar sliding into place to fit the puzzle pieces together. There are wall sconces to light the space, although those get turned off when they are working on the 1899. The Bon Sauvage, Percheron and 1899, all barrel age here before release. We proceed to talk about vineyard maintenance, the use of sulfur to prevent downy mildew and other practices. They are LIVE Certified, and they have 6.5 acres that are farmed organically. The difficulty with that, it that to keep away the downy mildew, and other issues, they must spray every 7 days, which means they have to run a tractor through. These are the difficult choices in agriculture do you use the organic sprays which must be used more often to be effective, but then cause you to get out the tractor twice a week and burn fossil fuels? They also use no coppers here. They are Salmon Safe and were named the Hero of Salmon in 2018. What he came up with was the process in which we take the winemaking activity and break it down very distinctly into it’s individual components. And there’s the genius of it. The 1899 is made with the resources that would have been available in 1899. That means, without modern equipment and without electricity. 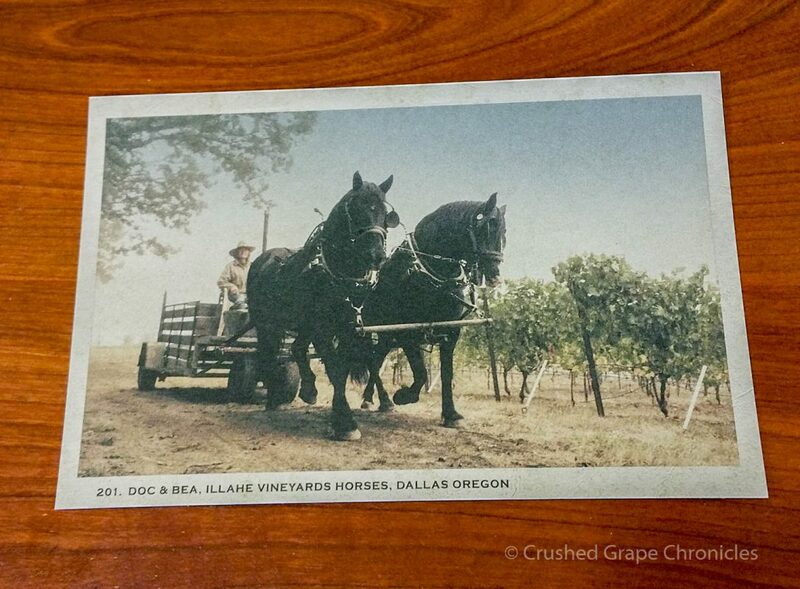 Bea and Doc, the Percheron Draft Horses do a bit of work helping to get the grapes to the winery. In 2017 Bea had a lame leg on the day they were harvesting, and couldn’t pull the wagon. So while the harvest crew kept harvesting, the winemaking team got busy hauling the small buckets of ripe berries up the hill from the vineyard into the winery. Once in the winery, everything gets de-stemmed by hand and goes into their wooden fermenting tanks. Here they are foot stomped. 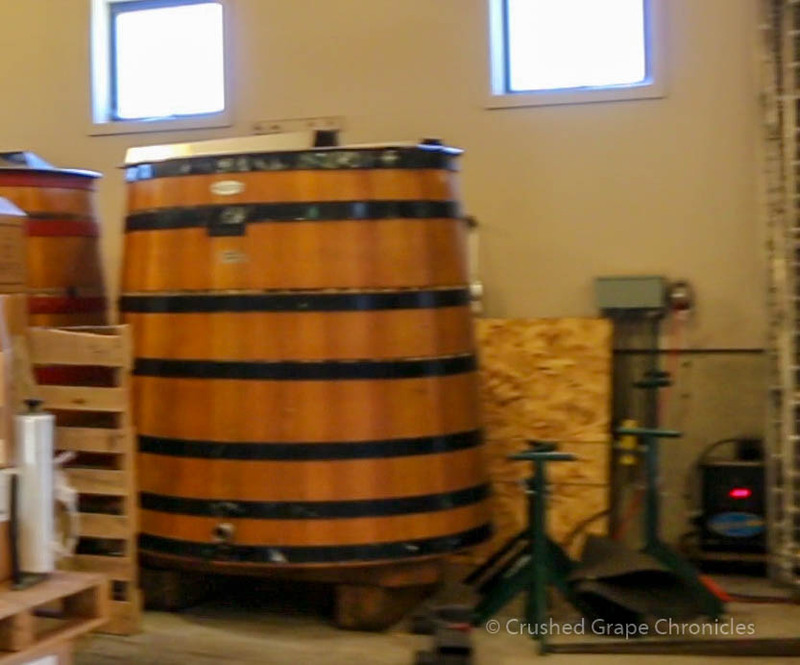 After a 10 day soak they have a wooden basket press and then it is pumped into barrel. They have a bicycle that provides the power for the pumping and there are races to see who can fill a barrel fastest. Bottling, corking and labeling are done by hand. The label is printed by a letterpress. Then how to get it to market? They don’t skimp on this process either. It travels by Stagecoach to the river, by canoe 96 miles on the river and then by cargo bike into Portland. For more details on Illahe you can check out these additional pieces we have done on this remarkable vineyard and winery. 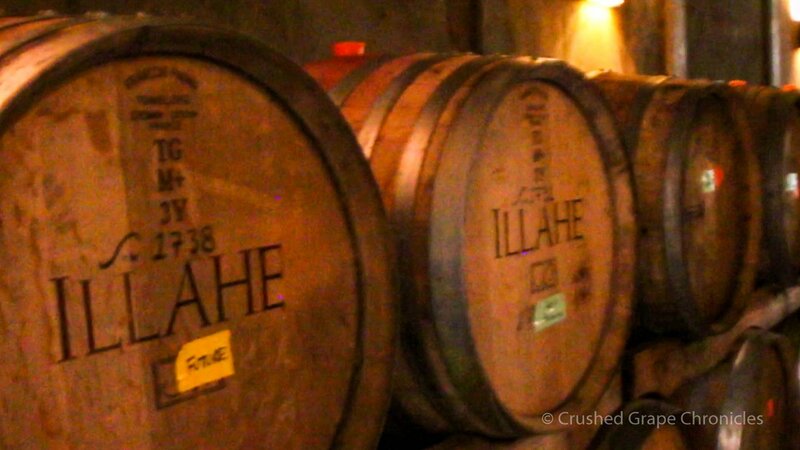 Illahe – flowers, deep roots, happy cows and birds…oh and wine grapes. Where and how to find them! 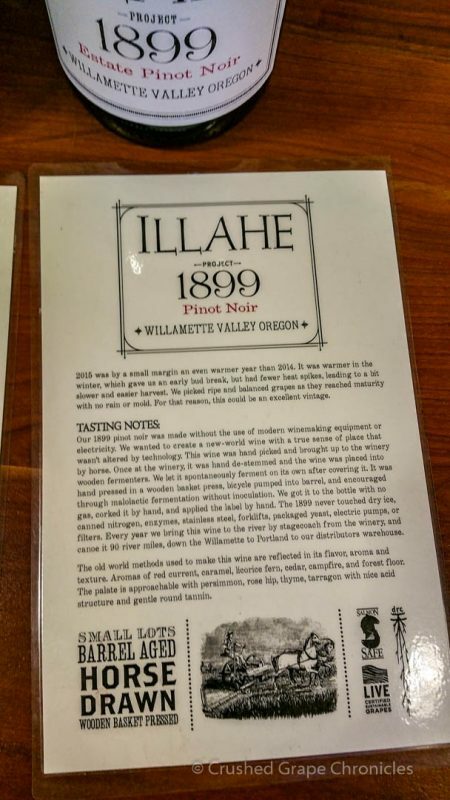 Illahe Vineyards is located at 3275 Ballard Rd, Dallas, OR 97338. Give Kathy a call for an appointment at 503-831-1248 or drop her an email at [email protected]. Tastings are $25 per person and are waived with a $100 purchase. While they don’t serve food, they have a lovely patio with tables overlooking the vineyard, where you can bring your own lunch and enjoy the view. I wasn’t familiar with LIVE certification. The link to LIVE info and the “primer document” is great. I love that not only the vineyards but also the entire winery operation is seen as one ecosystem. Kudos to Illahe for being committed and certified! There are many certifications most especially in Oregon. Vineyard owners there began with a respect for the land and continue to be strongly protective of it. But the struggle is real! They work to be organic, but that causes them to need to run tractors more often, compacting the soils and using fossil fuels in the vineyard. Sustainability is tough, but these folks are working hard. In a previous piece on them we spoke about the native wildflowers they are using as cover crops and their work with the Deep Roots Coalition. 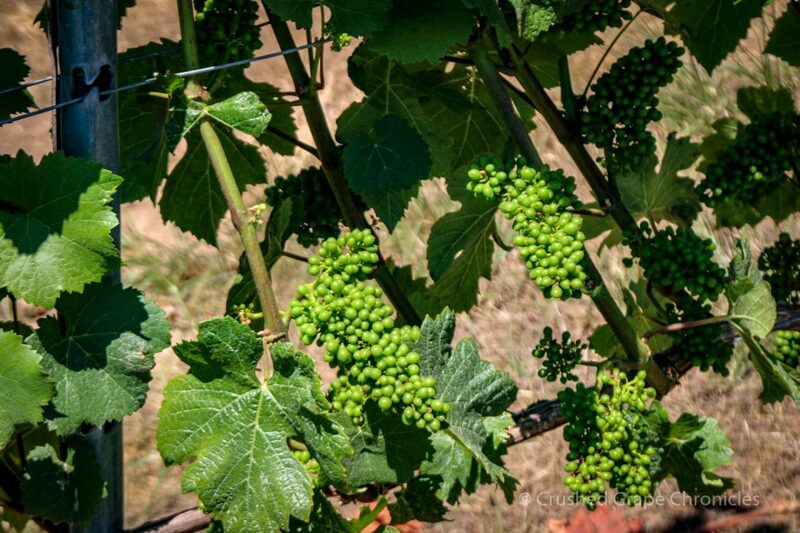 https://www.crushedgrapechronicles.com/illahe-flowers-deep-roots-happy-cows-and-birds-oh-and-wine-grapes/ They are committed and working hard to make great wine and keep the planet safe and healthy. The article we’ve been waiting for…nice to go into the cave on this one. And love the homage to doing things traditionally although imagine it’s a lot more work. We’ve really enjoyed this look into Illahe! The 1899 project is so fascinating and I find it wildly appealing (it’s what drew us to visit them). It’s really a labor of love. Three days on the river can be tough, especially when you have to hop on a cargo bike and pedal the rest of the way to market! Yes that 1899 project is a very interesting idea! I like following your progression around this vineyard.